Are your garage door springs at home damaged? Want help with a track problem? We provide full, residential services and help customers in need as soon as possible. Our company, Oakville Garage Door Repair, is at your disposal any time you want professional service or just to ask questions related to your door. Need to change the existing opener? Want to buy a new overhead door? Apart from fixing the existing door and its opener, we also offer replacement and installation services, maintain the door, make adjustments, order new products and help our customers make the best choice when they are interested in buying new garage doors and operators. We have several rules in our Garage Door Repair in Oakville. All trucks must remain equipped at all times, the repair parts must be renewed, the technicians must keep training in accordance to the latest opener and door changes in Ontario, and each job must be done efficiently and on time. There is a purpose for such regulations and significant reasons why we all follow them to the letter. The safety of the customer depends on them. By respecting our own rules, we respect your demands and cover each and every one of your garage door repair needs right away. Every resident in Oakville ON can trust that the job requested will be done properly and timely. When it comes to broken springs, damaged tracks, jammed doors and similar urgent problems, our technicians offer same day garage door service. Our professionals are trained and licensed to troubleshoot, repair and replace parts. Any problem with the cable, track, bearings, opener, sensors or motor is immediately fixed. If you need same day garage door opener repair service, you can depend on our fast response. We can fix any opener and take care of the reverse mechanism and the clicker. The services we provide are affordable and range from same day repairs and opener service to maintenance, overhead door replacement and new panel installation. 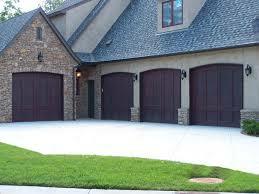 With Garage Door Repair Oakville taking care of such needs, you will have no garage door concerns.